As a beauty blogger I'm continuously grateful and feel very lucky to have the readers and support that I do. The beauty blogging community is great and I'm truly honoured to call my blog part of full-time job! But however much I'm aware I've got it good it's easy to have those 1st world problems and on occasion more serious problems/hang-ups. So today I thought I'd share a few of my own! You have a exciting new product in your mitts and are faced with the question: To swatch or to not swatch. Resisting of course means perfect photos but if you aren't instantly photographing it avoiding swatching can be hard work! I do always wonder though how a select few bloggers have seemingly untouched products in favourites posts though... curious?! I'm not the most organised of bloggers, in fact up until 2 months ago I use to blog for only the day ahead. I'm now steadily improving but still find it incredibly hard to keep up and find even having a few days off can making me slip back into having a stack of posts to write. As for actually going away on holiday I find it a bit of a nightmare and can get pretty stressed out by having to fit in writing extra blog posts! This is very much a woe is me one. Having so much makeup you forget products you once loved! I actually remember the sheer joy I got in buying the first ever UD Naked Palette and now a few years later the Naked 2 Palette lays unloved in a drawer. I always try my best to circulate makeup products but forgetting products will always happen. Of course I'm not including everyone in this but a large majority of people just don't get blogging and that it can be a sustainable job. I know quite a lot of people that tend to forget that yes, I do have a job or what it is I exactly do. Is it forgetfulness, ignorance or people just not willing to accept the modern world? I really don't know. Even my own Grandad use to tell me when jobs were available at Asda?! With only one face too much skincare can be a bit of a nightmare. With the urge to try out new products and over complicate my skincare routine I can often suffer from breakouts. I now have countless cleanser and moisturisers that sit in my bathroom collecting dust. With blogging it easy to blog whenever without setting time limits or at least a time to switch off at night. I constantly find myself blogging well past midnight and even writing myself lists related to blogging in the middle of the night when I can't sleep?! This is one I'm currently trying my best to improve upon. 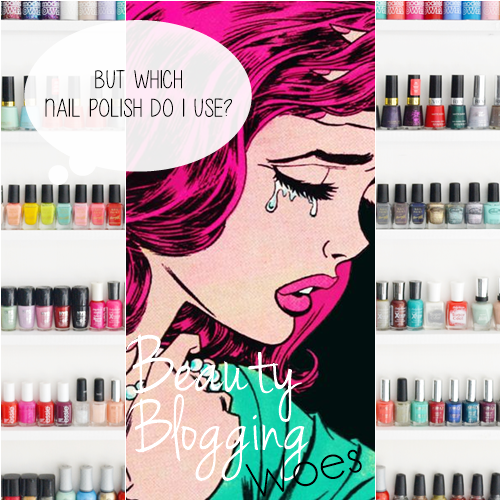 If you're also a blogger what are a few of your own blogging woes?